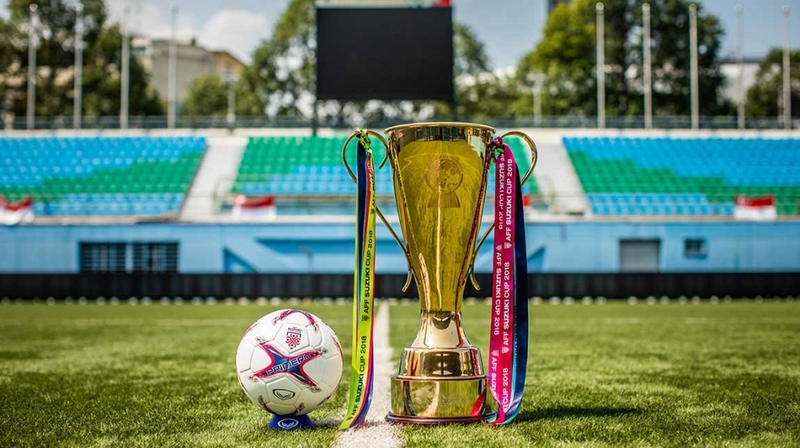 The latest edition of the AFF Suzuki Cup will showcase the best national teams from Southeast Asia and their passionate support. With the teams set to defend their pride in the tournament which lasts for over a month, the jerseys they will be wearing also takes some significance. Here, FOX Sports Asia finds out how much it will cost you to get hold of the national team jerseys of each side at the 2018 AFF Suzuki Cup and also rank them based on their looks! The Laos national team, coached by V Sundramoorthy, will line up at the AFF Suzuki Cup in their uber-cool kits designed by Thai sports equipment manufacturer FBT Sports. The home kit will be red in colour with white details rounding the collar while the away kit will white with ash details in the lower half of the kit and sleeves. Laos have also brought out a third kit which is black with blue details and it will be interesting to find out whether they will indeed use it during their AFF Suzuki Cup campaign. The Timor-Leste national team are in the 2018 AFF Suzuki Cup after a hiatus of 14 years from the regional competition. Their kits are supplied by Indonesian sports equipment manufactures Narrow Sports. The jerseys sport red and black design reminiscent of the Belgium national team kits in recent years. The kits are also one of the cheapest going for $20 in the market. Cambodia’s home kit is perhaps the most dashing the 12th edition of the AFF Suzuki Cup will see. Once again produced by FBT, it draws inspiration from the country’s national flag using blue as the primary colour. Meanwhile, the red of the flag can be seen on the shirt’s rounded neckline. The sleeves and a mid-frontal stripe contains a series of triangles which are in a lighter shade of blue. The Cambodia national flag is printed on the back of the shirt while “Kampuchea” (Khmer for Cambodia) and “Kouprey” (the Cambodian men’s national football team’s nickname) are printed on the outer sleeve cuffs. The 2008 AFF Suzuki Cup champions will sport a simple design at the 2018 edition of the tournament. The kits have been designed by Grand Sport, the sports apparel company which also supplies the official match ball of the tournament. The kits are red in colour as is the case with the Golden Dragons traditionally. What makes it all the more attractive is that they are priced at a reasonable $21! The new Myanmar home jersey will be red throughout with lines across in slightly darker shades creating a unique appearance. Meanwhile, the away kits are plain and simple in white colour -- the Myanmar Football Federation’s crest and the Warris logo disturbing the design. The kits are priced at $31 each. The Azkals’ new kit designs were picked from a design contest held earlier this year and it will be a treat to watch the likes of Phil Younghusband and John-Patrick Strauss kicking the ball around in them. The home kit is still in its traditional white with blue and red colours of the national flag also added to it. The production version of the kits that will debut at the AFF Suzuki Cup though could feature slight changes from the concept design featured. The Thailand national team’s jerseys are produced by sports apparel company Warrix with the home kit of the AFF Suzuki Cup defending champions also featuring gold-tinted crest of the national team. The away kit will be blue in colour with red lining the collar and also having the golden details. While a fan variant is available at $22, the limited edition version of the national kit — the real deal — is on sale for $61. One of the three Nike-branded kits at the 2018 AFF Suzuki Cup, Malaysia’s kits follow the international sportswear company’s 2018-19 jersey template. While the home kit is predominantly yellow, the away kit sports blue with red sleeves and collar. “Away from Bukit Jalil National Stadium, the team’s away strip draws inspiration from the jalur gemilang (stripes of glory) of the Malaysian flag. The shirt has a solid blue body with red shoulders and sleeves and is worn with white shorts and blue socks,” Nike announced last May. Nike as they are known to do have followed a simplistic and modern design for the new Indonesia 2018-19 kits. The home kit is red with a gold swoosh and the national team crest on it. Its colour scheme drawing inspiration from the Garuda, a mythical, bird-like creature. Meanwhile, the away kit is white in colour with dark green details added to it. The kits are sold at a price of $68! The highest priced jersey in the list is that Singapore. The creatives on the Singapore’s new kit took inspiration from the mythical creature known as the Merlion – a half lion, half fish – which became the Republic’s national symbol in 1964. Its scales inspired the gym red graphic across the chest for the home kit. The equator blue away kit is a play on Singapore’s gleaming modernism where the soaring skyscrapers and their dazzling presence reflect the ocean at night. However, buying one could burn a hole in your pockets as it is priced at a whopping $77!